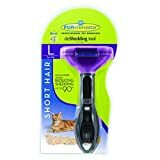 The FURminator is the best de-shedding tool or brush that I've used with my cats. The brush easily removes hair and the undercoat. My cats are short hair cats, except for Lina who has medium length. I've used the short hair tools on her without any issues. Since I don't have a long hair cat, this post is about only the short hair brushes? Why does the FURminator come in two sizes? As I explain in the video, I don't know why there are two sizes. The quiz on the FURminator site seems to use weight as the determining factor. 10 lb cats and greater should use the large size and less than 10 lbs the small size. Maybe the smaller one would work better with a kitten? What do you think? The video also includes a demonstration of the both the small and large size. Does the FURminator cut the cat's hair? The FURMinator has never cut the hair on my cats. I don't think cutting the hair is the purpose of the tool. Now, I'm not saying that it will never cut cat hair, it just hasn't in my experience with it. What makes the FURminator better? The FURminator removes the cat hair easier and more quickly than any other cat brush that I have tried. We've tried lots over the years. The cats also seem to enjoy it, or at least some of them don't mind it! 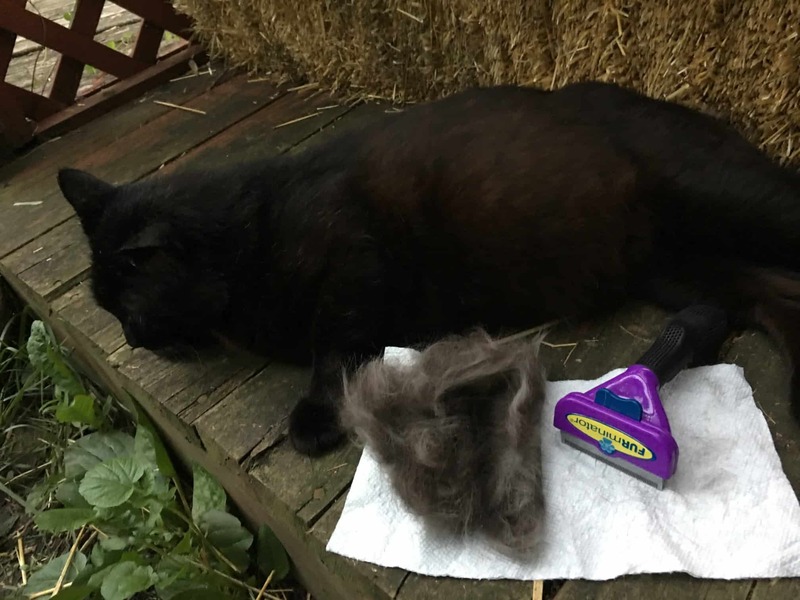 When I used it on Midnight (the friendly stray that lives in my yard), I was able to remove his thick undercoat. In the spring or early summer his fur was starting to mat. The picture below shows how much hair the tool was able to remove! 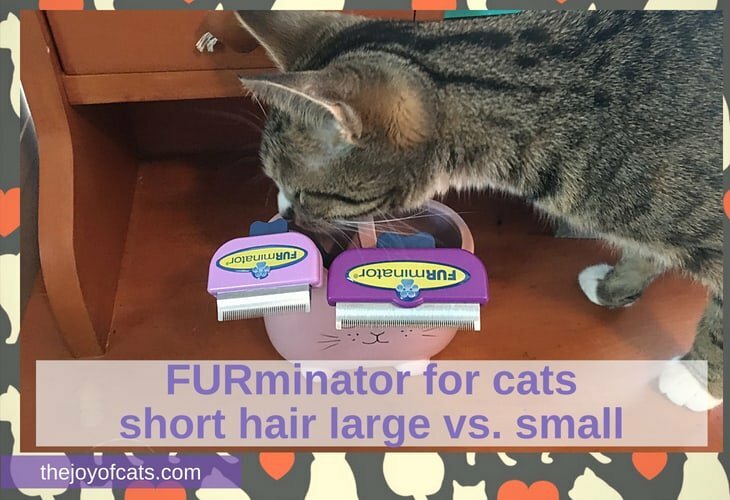 My recommendation for short hair cats is the short hair large size FURminator. 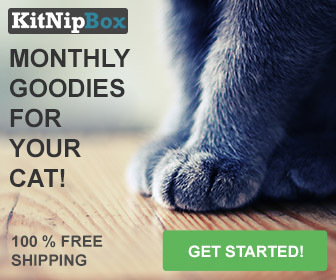 The large size feels more efficient, and I was able to use it without issue on my small cats. Also, sometimes the price on Amazon for the FURminator is significantly less than the pet store price. What do you think of the FURminator? Do you prefer another brush?